With Team Zuckerberg continuing to increase its previously advertising- and sales-focused New York presence with additional programmers and engineers, the company has likely outgrown its 150,000-square-foot office at 335 Madison Avenue in midtown. 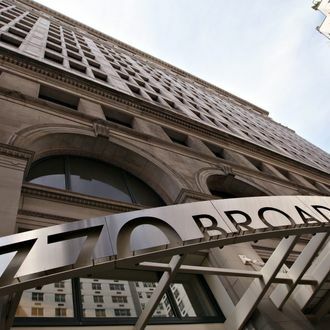 The solution, according to Crain’s, might be at 770 Broadway: Facebook is reportedly looking to take over the combined 160,000-square-feet of the seventh and eighth floors of the building, which is already home to AOL. We can only hope for some nerd dance-offs.